Who is better Alexa 或者 Liana? So, do 你 really believe in friendship? if melody breaks inside the mirror, then how come she gets out of there? how come 芭比娃娃 is liana and teresa is alexa? did they not want to use so many characters? if so that was not a good idea. 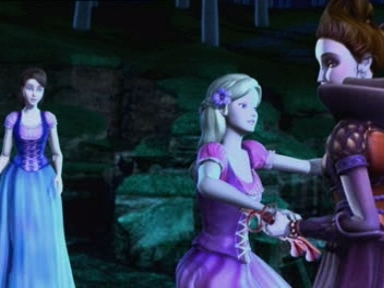 BARBIE: (SINGING) so rare to find a friend like you. TERESA: (SINGING) somehow when you're around the sky is always blue. The way we talk, the things 你 say. The way 你 make it all okay. And how 你 know all of my jokes, but 你 laugh anyway. (BOTH SINGING) If I could wish for one thing. I'd take the smile that 你 bring. Wherever 你 go in this world I'll come along. That 你 feel upon your cheek. I'm blind-folded on this carriage ride that they call life. Keep trying to make it through the 下一个 turn, knuckles white and holdin' tight. but I know that I'm never alone. I think of you, and how 你 never let me go. I feel connected (connected), protected (protected), it's like you're standing right with me all the time. and everything else is gonna be alright. The way 你 make it all o.k. a comment was made to the poll: who do 你 think sings better liana 或者 alexa? a comment was made to the poll: Who is better Alexa 或者 Liana? a comment was made to the poll: Who is 更多 beautiful? a comment was made to the poll: What is your 最喜爱的 dog ? Why can't Lydia hypnotize Alexa and Liana?